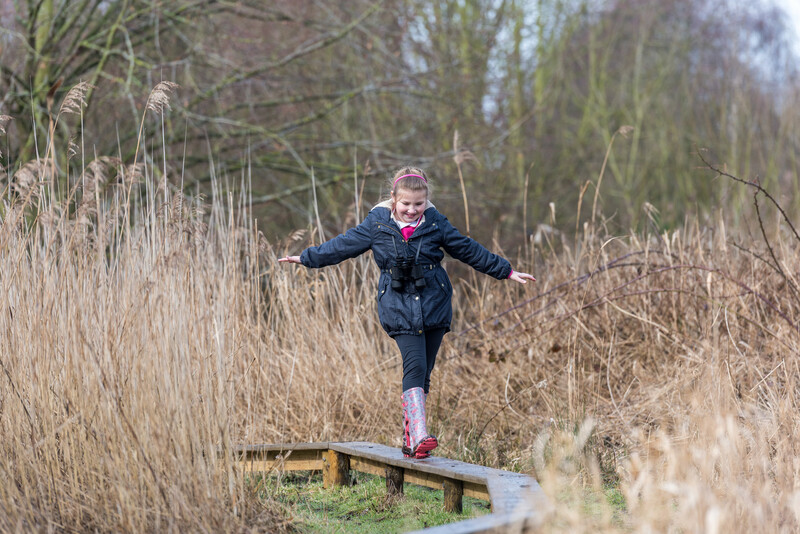 Get closer to wetlands and wildlife at WWT London Wetland Centre with the opening of the new Wild Walk! The Wild Walk has been designed to transform the way we look at the natural world by offering a view from the different perspective. The experience takes you on a journey through areas of the reserve otherwise not accessible to visitors and provides an enhanced physical and sensory experience, incorporating some challenging elements along the way. Meander along sweet tracks winding their way through reeds, balance over stepping logs and see if you can cross the wobbly rope bridge without getting your feet wet. Matthew Thorley, Visitor Experience Manager at WWT London Wetland Centre said, “We always try to encourage our visitors to get closer to nature and what a better way to do just that than by getting them off the main paths.